Raynes Park High School in partnership with the Wimbledon Club has opened its new £500,000 AstroTurf hockey pitch. 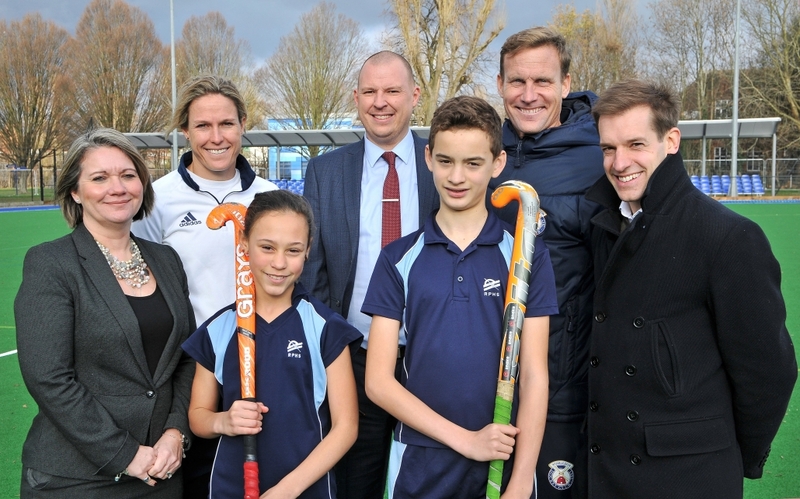 The new pitch is not only being used for school matches, but also elite hockey games. The Wimbledon Club funded the new pitch and is paying for its ongoing maintenance. Next year the Wimbledon Club will offer coaching to students at the school with the aim of developing their long term love of the sport. The club has already been supporting the school by providing inspirational coaches and players to attend school events and donating new hockey sticks. The new AstroTurf pitch provides a new venue to expand the Wimbledon Club’s schools outreach programme. The pitch is predominantly being used for hockey, although it can be used for other sports such as football using temporary football marks which can be brushed off. Raynes Park High School is a co-educational comprehensive school which educates over 1,000 pupils, aged 11 to 19. It became the first state school to be an accredited Tim Henman Foundation BECSLink Community in March this year. The school is working alongside national and local Merton businesses, education charities, and sports and arts organisations to provide outstanding resources and learning opportunities for young people. This offers students and teachers not only from the school, but also other local schools the opportunity to develop new skills and interests. The Wimbledon Club, founded in 1883, is one of the world’s oldest hockey clubs. It is a section of the multi-sport Wimbledon Club. Wimbledon is one of the largest and most successful hockey clubs in the country with both the men’s and women’s teams fielding multiple current Great Britain internationals. The club has also recently started working more widely in the community with a schools outreach project, which to-date has bought hockey to 2,000 local Merton state school children.